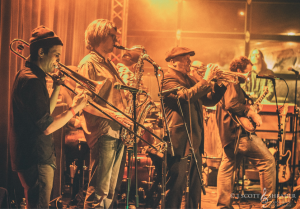 Home » Adventure » Polyrhythmics and Big Sticky Mess Coming to Tahoe! Polyrhythmics and Big Sticky Mess Coming to Tahoe! Can you believe we are already rounding off to the final three weeks of Live at Lakeview? Now, now, this is no time for tears, you blubbering sally. Why is that? Because Polyrhythmics and Big Sticky Mess will be here this Thursday! That’s right, this Thursday is going to be all about the FUNK! Ok, time to lay down the details on these two funkalicious groups. Polyrhythmics will be travelling all the way from Seattle to throw down the funky grooves for us Thursday night. As far as the funkity funk goes, Polyrhythmics is kind of a big deal on the west coast music scene. They were in New Orleans for a bunch of high profile shows during Mardi Gras and Jazzfest. They are on the verge of releasing their next album. And to the abounding joy of every hipster on this side of Kentucky, Polyrhythmics released a 7″ record dubbed The Killion Sessions earlier this year! That’s right—they know how to keep it OG. It’ll be a packed stage because this orchestra is comprised of 8 men and their respective instruments. Trumpets and saxephones and guitars—oh my! Prepare those eardrums and get ready to kick those shoes off, because there will be some sandy dance moves taking place on that beach! Bring on the noise, bring on the funk, we say! In case you’re not sure what to expect, here’s some of their music to help you stretch out those eardrums and warm up for a funky good time. And no, we’re not talking about that awkward Tinder date you went on last night. 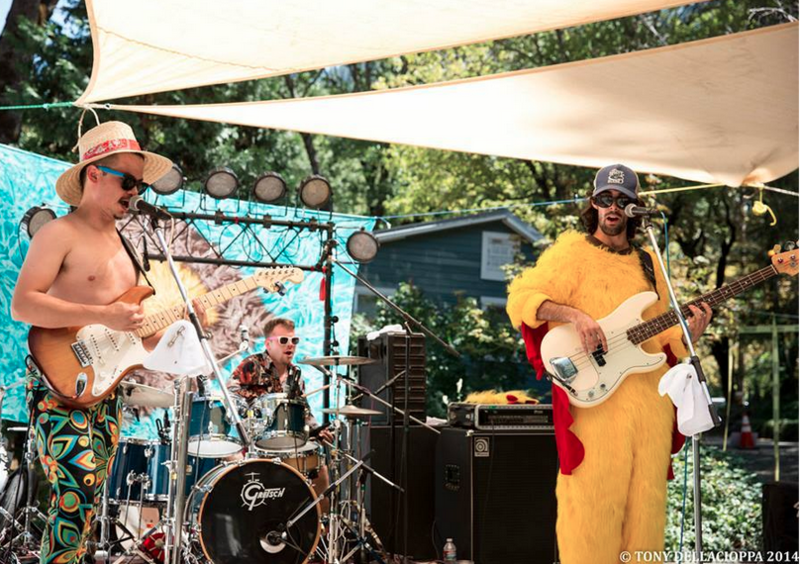 We’re talking about the funk band based out of Davis, CA who will be serving as the opening act this Thursday. See the photo above? Don’t act like you don’t wanna hang out with those guys, or at least buy them a beer. Plus, you know you can trust a good time to any group whose tagline states “Original funk for your earhole.” So be sure to grab a q-tip and clear out those auricular caverns so you can soak in every funky note BSM has to offer! —Our neighbor about the Big Sticky Mess that was left outside after a bear got into the trash. Ok, so maybe that last review wasn’t about the funk band, but now you know what to expect if you leave your trash outside in Tahoe! Avoid that big sticky mess, and join us for a more fun and funky version this Thursday!